Over at Layers of Thought, the very talented Damien Angelica Walters talks about one of my favourite topics: short fiction. 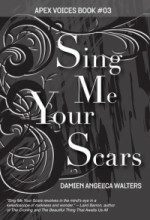 This entry was posted in News, On Writing: Short Stories and tagged Damien Angelica Walters, Gifts for the One Who Comes After, helen marshall, Layers of Thought, Livia Llewelyn, shirley jackson, short stories, Sing Me Your Scars. Bookmark the permalink.